Bravo Records - News - Ensemble "Mziuri" Recorded a Couple of Songs in "Bravo Records"
Ensemble "Mziuri" Recorded a Couple of Songs in "Bravo Records"
They were known everywhere, they were loved and their songs were sang. In soviet Union, unprecedented project – vocal-instrumental ensemble of girls “ Mziuri” – was founded at pioneers palace, May, 1971. Mziuri gain universal love and recognition not only in Georgia, but also outside the country. 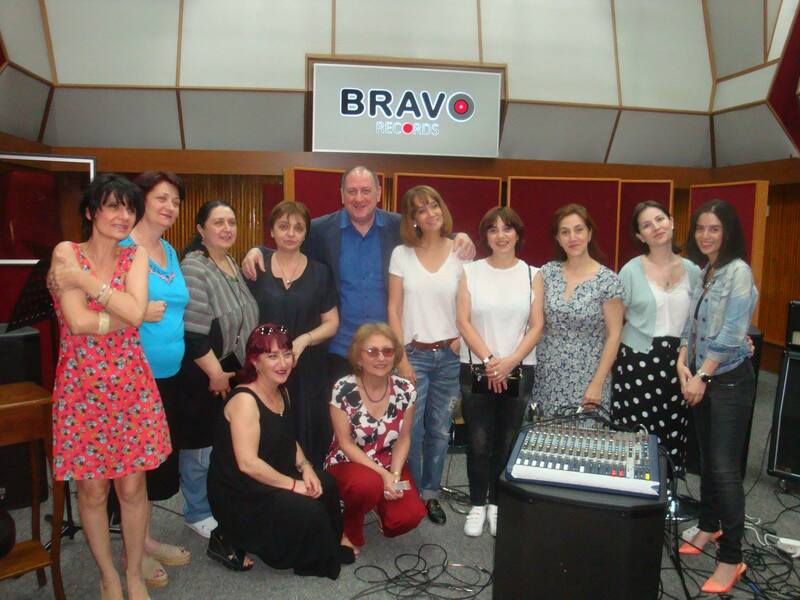 In Bravo Records, For Imedi TV’s one of the most popular program “Prime Show” ensemble Mziuri recorded new versions of their old and overly beloved songs – “legend”, “Mziuri”, "антошка", "Капитан" and “Popuri”.